My brother made this soup, introducing me to kelp noodles, which I now look forward to using in all kinds of recipes. 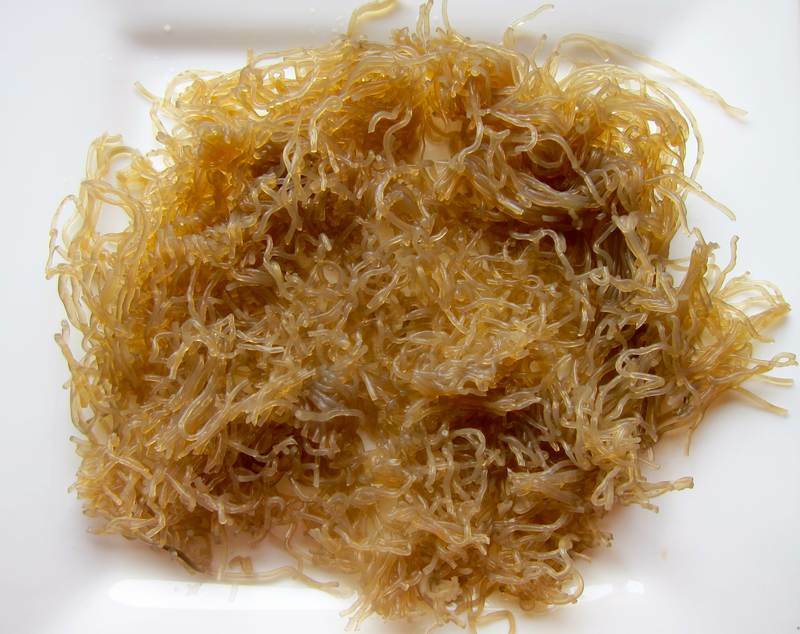 There are so many people who enjoy noodles but wish to avoid flour products, making these seaweed noodles irresistible. Please, please don’t be put off by the terms “kelp” and “seaweed”. You will enjoy the slight crunch and noodle shape without any hint of fishiness. (Not that that’s a bad thing). In a big soup pot, cover the squash with water and cook for about 10 minutes, until fork tender. Set aside 1/5 of the cooked squash. Use a saucepan to heat 1 tablespoon of coconut oil. Sauté the onion and garlic on medium. 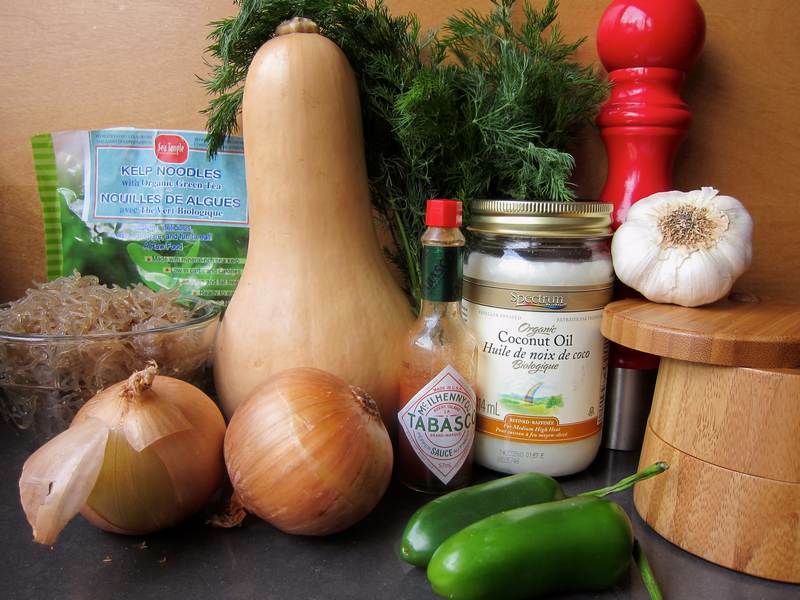 Use a food processor or a Vitamix to blend the squash, onion and garlic with the cooking water. 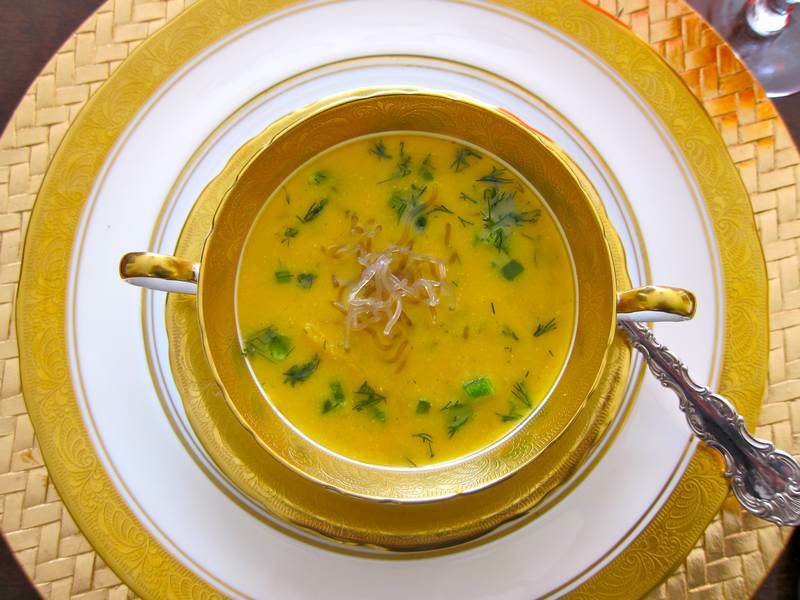 Add the reserved squash, cut bite-sized, 1/4 cup of the dill, 1 tablespoon of coconut oil, sea salt and pepper to the blended soup. Just before serving, garnish each bowl with the kelp noodles, jalapeño peppers and the remainder of the dill. Offer Tabasco on the side. Serves 6. 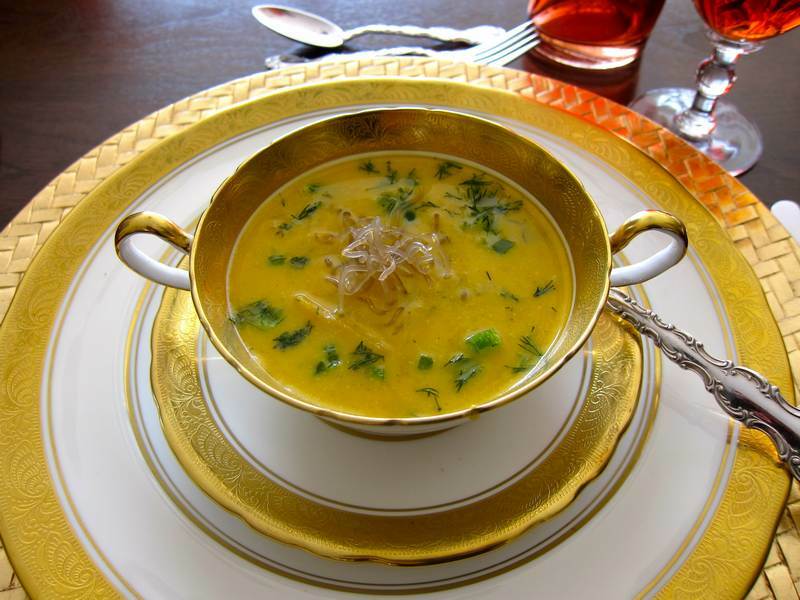 This is the first jittery soup that doesn’t use soup stock. It isn’t required. The flavour is perfect au naturel. Thank you to my brother Eric for continuously teaching me about super foods. His company Earth Circle Organics is dedicated to providing top quality health foods. Are you adventuresome when it comes to making haroseth? Watch Melissa Clark prepare Haroseth Truffles. « Persian Rice with Turkey – Aromatic!